Realtime Prices, Sentiment, Tweets, Scuttles, News and discussions on GrowLife Inc. GrowLife, Inc. (GrowLife) is a holding company with multiple operating businesses that manufacture and supply branded equipment and expendables in the United States for urban gardening, inclusive of equipment and expendables for growing of medical marijuana. In addition to manufacturing and marketing GrowLife owned brands, such as Stealth Grow and Phototron , its companies are active from coast to coast in the United States in specialty market retail from store locations and through its ownership of on-line retailers Greners.com, 58Hydro.com and StealthGrow.com. It also controls the premier industry portal www.cannabis.org, which serves as authoritative social channel for branded product promotion, sales and information as and to the extent the regulatory landscape changes. Growlife Hydroponics owns and operates specialty hydroponics stores in California, Colorado, Massachusetts, Maine and New Hampshire. 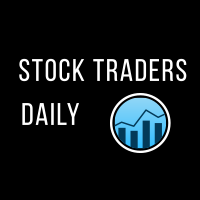 For a limited time get your FREE Stock Traders Daily report on PHOT. Get it now.